Looking for a particular horse show rule? Have you renewed your association memberships? Please submit entries, adds, & scratches to the horse show office no later than 5:00 PM the day before you plan to show. The accuracy of time estimates depends on it! 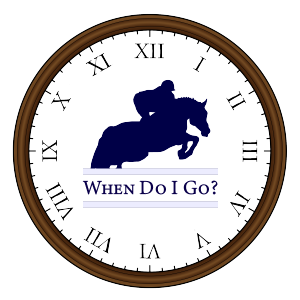 For more information on how When Do I Go? 's time estimates can help your shows, visit the link below.